We believe that together we can self-organize so our communities can have economic development without displacement. After decades of harmful development and disinvestment, new development is happening in the communities surrounding Turner Field and along the BeltLine, fueling the displacement of potentially thousands of people. 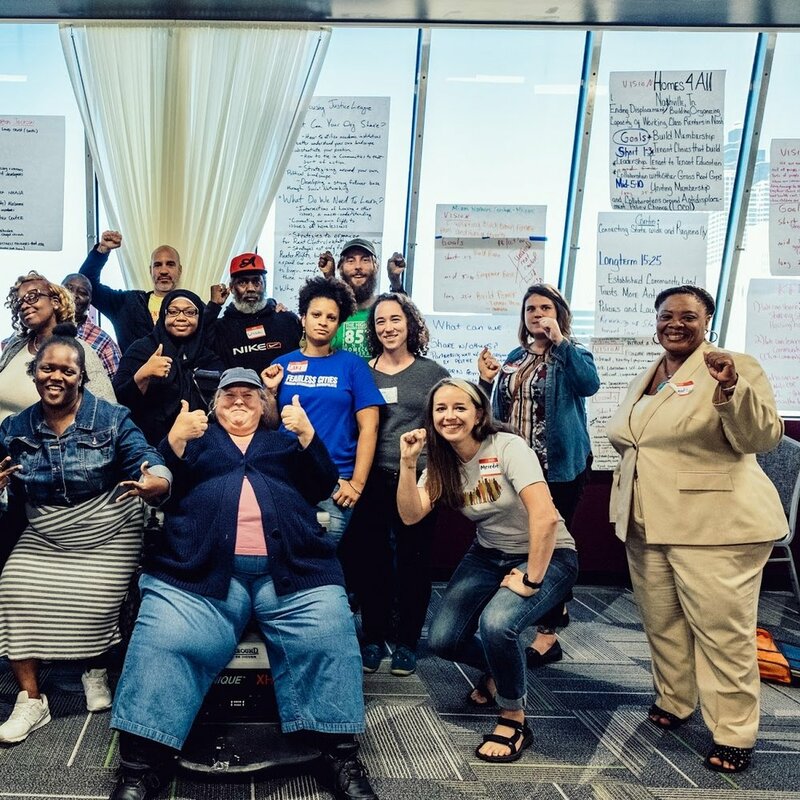 Support the Housing Justice League - a 501(c)3 non-profit organization - fighting to keep community members in their homes and for the future development of affordable housing in Atlanta. Support housing justice by volunteering with our non-profit organization. We have volunteering opportunities for: canvassing community members, managing social media content, fundraising, write for our blog, attend events, and more. Sign our online petitions that fight to bring awareness to the affordable housing crisis in Atlanta as well as hold city and corporate leaders accountable for their promises of an inclusive development plan near the BeltLine and near Turner Field. Our organization is powered by long-time community members from Peoplestown and other surrounding neighborhoods. We meet regularly at the Peoplestown Revitalization Center and the Rick McDevitt Youth Center in South Atlanta. All of our events are open for the public to join and help us support our cause. We encourage people from all over Atlanta to join us at action events, monthly community meetings, and more. Check out our events page for more information.